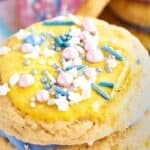 I’m so excited to share this recipe with you! 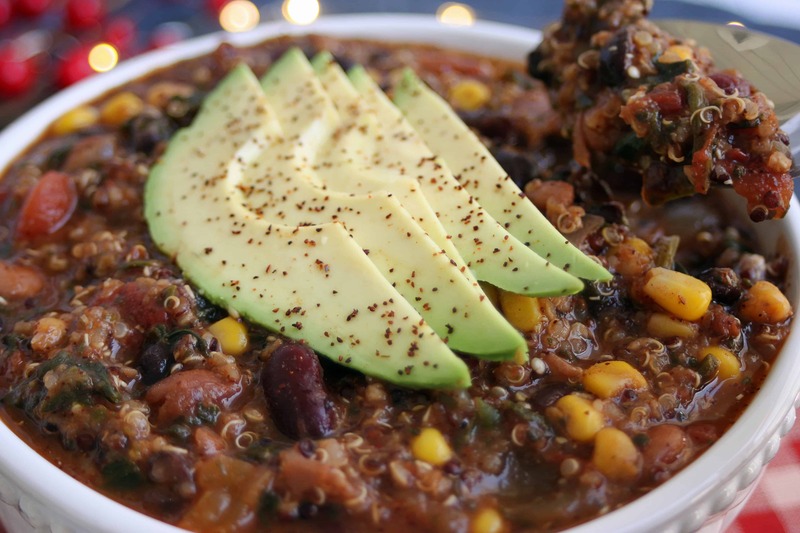 I am always looking for delicious one-pot recipes, and this vegan quinoa chili is by far the most flavorful I have created. Perfect for cold and snowy/rainy days you don’t want to leave the house. 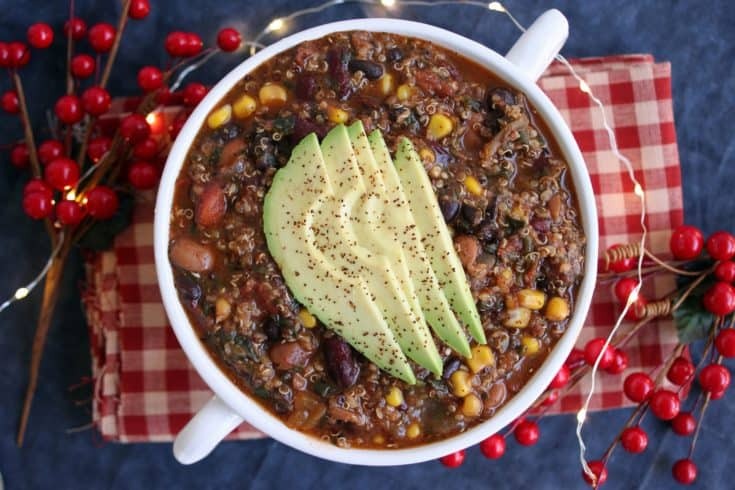 It’s filled with black, kidney and pinto beans, quinoa, corn, spinach, tomatoes, peppers and tons of spice; I think I managed to get almost every color of the rainbow into this recipe! 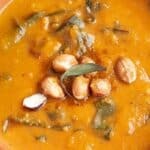 What I love most about this recipe is you only need to simmer it for about 30 minutes. As it cooks, the quinoa absorbs some of the wonderful spiced veggie broth, all while thickening the soup and making it super hearty. Beans and quinoa are both excellent plant-based sources of protein, and when combined together you’re in for a super-satisfying and nourishing meal. 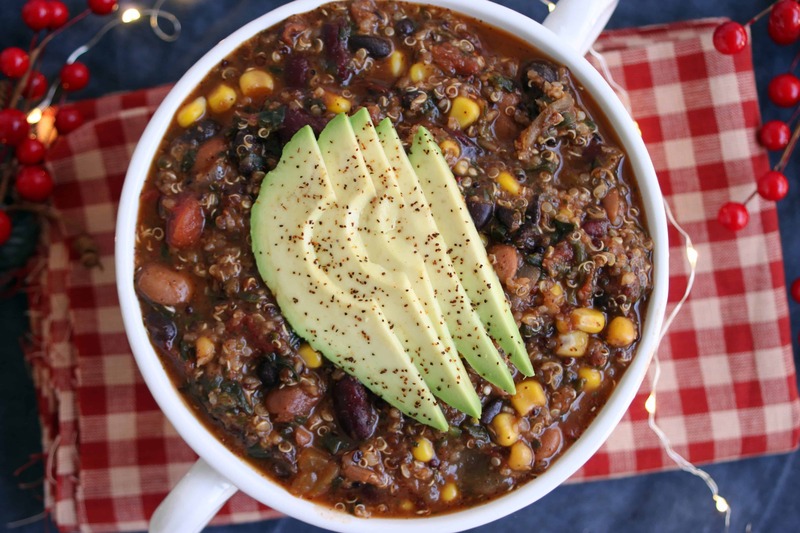 If you’ve never had quinoa in chili before, I’ll bet you’ll never want to have it without again! 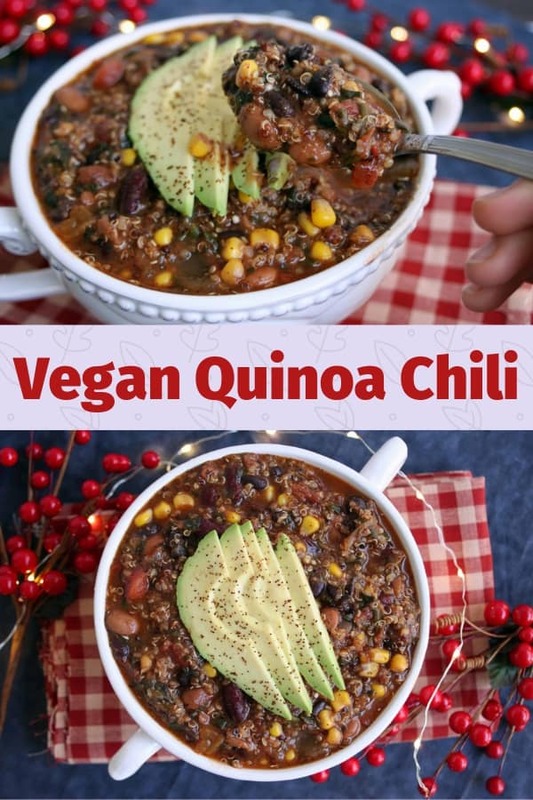 It’s been years since I’ve had meat, but it seems like quinoa is the perfect replacement; it has a similar texture as a ground beef chili might have, and absorbs all the flavor of whatever you cook it in. I think it helps please both carnivores and vegans at the dinner table! 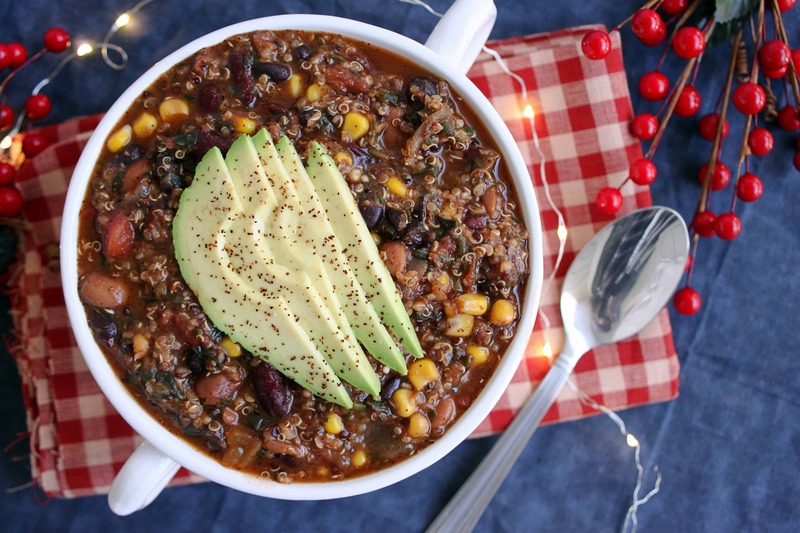 This chili really has it all – greens, veggies, protein, comfort and tons of smoky flavor! I like adding avocado on top for some healthy fat, and even dip some tortilla chips in it if I want an extra crunch. I love using organic vegetable broth for this recipe – it tastes so fresh it’s almost sweet! Combined with the sweet corn and the savory flavors of smoked paprika and traditional chili powder, it’s the perfect savory-with-a-touch-of-sweet chili! 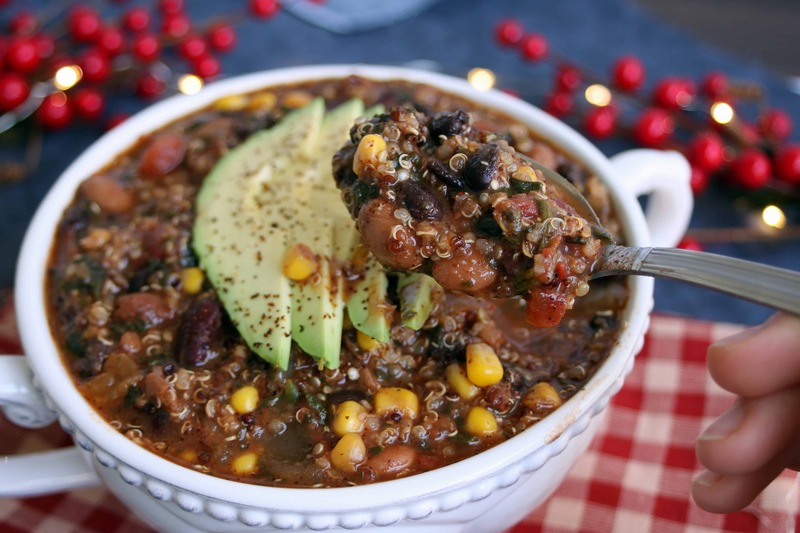 This vegan quinoa chili is so hearty and full of smoky-sweet flavor, you won't miss the meat! Add chopped onion, pepper and garlic to a large pot with a splash of water over medium heat. Cook for 5-8 minutes or until onions are translucent. Add the rest of the ingredients (except the water), bring to a boil and reduce heat to low. Cover and simmer for 20-30 minutes or until quinoa is tender (you can tell it's done if you see the seed split apart too). Remove bay leaves and add water if you'd like it less thick and more soupy! Enjoy! 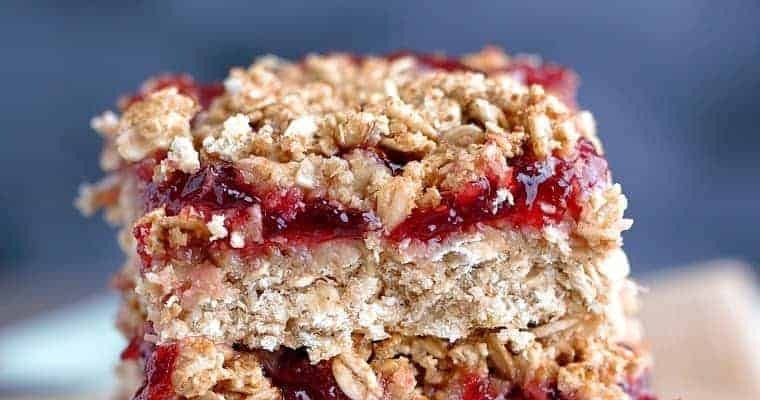 My kids love quinoa and I will have to definitely try this great recipe. Thank you! 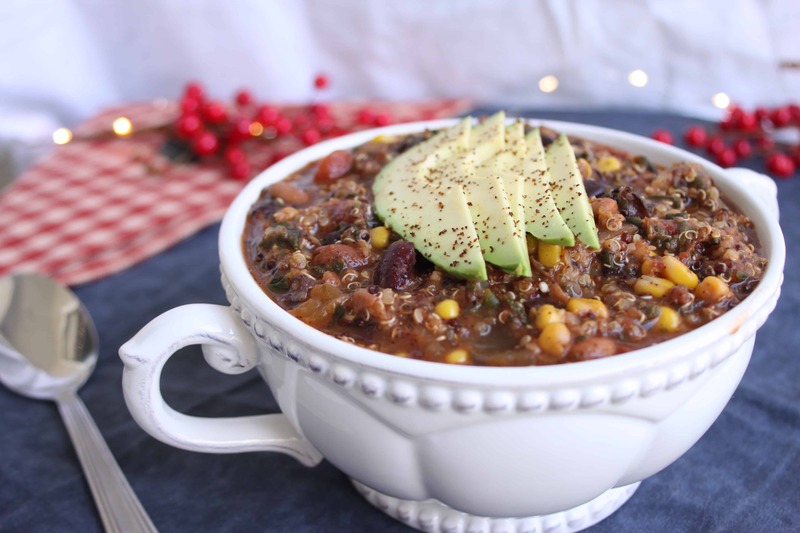 I love eating chili during the winter time and this recipe looks delicious!! 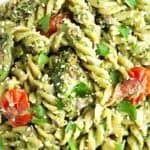 I love the added avocado on top! 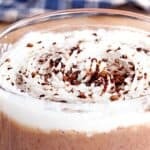 Yum, this sounds amazing! I cant wait to try it out, I think my husband will really enjoy this one as well. What a great addition to chili. The quinoa would add a nice texture a well as soaking up all the flavor. An excellent addition to my meatless meals collection. 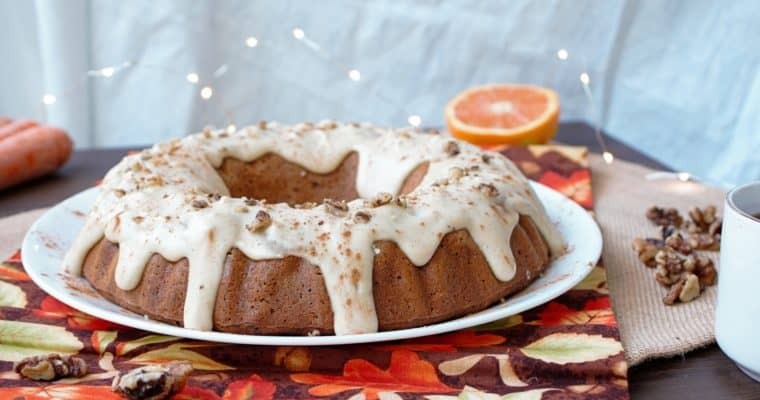 Something unique for me to try over this holidays, thanks for sharing this great recipe.